Hastings Direct has announced impressive quarterly financial results and now boasts more then a million-and-a-half customers. 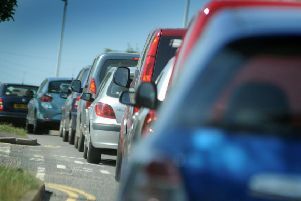 The insurer, which is the biggest employer in Bexhill, has seen a continued growth in customer numbers to 1.65 million. This is a 22 per cent increase from the same period last year. Gary Hoffman, chief executive of Hastings Direct, said: “Our business continues to go from strength to strength as we focus on getting it right for our customers, which is key to our success. “By providing refreshingly straightforward insurance and strong underwriting discipline, we have seen a steady growth in customer numbers, up 16 per cent since the start of the year and 22 per cent compared to September last year.